This is another late post and this time I have no other excuse but sheer laziness. I’ve always said that one of the rewards of having some cooking and baking skills is being able to prepare and enjoy whatever I crave for in the comfort of our home even at the most ungodly hour barring some unforeseen circumstances like the stove or oven being busted or unavailability of ingredients needed although the latter is not a hopeless situation and can still be remedied via substitute ingredients. Such is the case last weekend. First, I wanted a repeat of the spicy crabs I made way back but blue crabs were not available so change of plan and I just settled for shrimp. I found really nice large ones on sale at my favorite Carrniceria- yes, they sell seafood too! 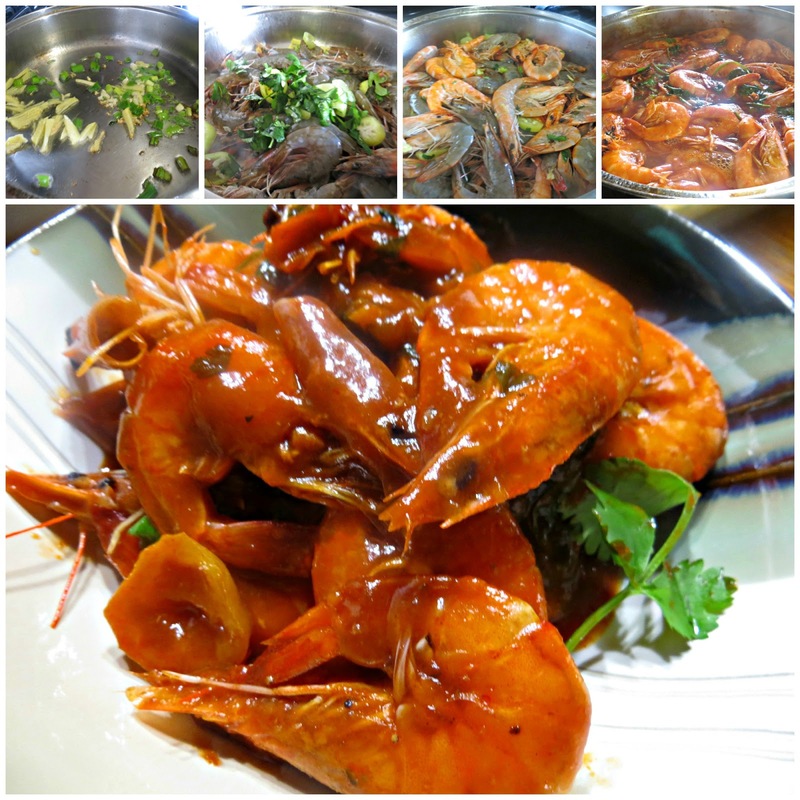 Sautéed in garlic, ginger and green onion then simmered in a special spicy sauce; this is something I prefer eating at home where I could just get my hands dirty with all the delicious sauce. The next item is barbecue pork ribs. It was just a spur of the moment thing. I saw beautiful racks at the meat section and thought about barbecue. Am I really up to the task of grilling or should I just bake it? I didn’t even have to think long because an idea popped into mind when the butcher at the counter asked me if I want the ribs chopped or sliced. Hmm, why don’t I do it differently and do a stove top barbecue? The ribs are seasoned with my dry rub mix (paprika, brown sugar, granulated garlic powder, freshly cracked black pepper and cayenne pepper) and set aside for an hour to allow the flavors to mingle and to adhere to the meat. Then I heat canola oil in a cast iron pan just enough to coat the surface and then placed the ribs for browning. That I did in batches so every piece is browned evenly. Then I put them all back into the pan and poured half of my barbecue sauce which is a mixture of tomato ketchup, brown sugar, dry mustard, white vinegar, honey, Cayenne pepper and liquid Hickory seasoning for that smoky flavor. You bet my sauce is sweet, tangy, spicy and smoky altogether. Let the ribs simmer in the sauce, occasionally turning the meat over and then pour the rest of the sauce when it starts to dry up. Repeat the process until the ribs are golden and just moist. Devoid of the usual grill marks but these little pieces taste nothing short of delicious barbecue, trust me! There's one more item that caught my eye as I surveyed the seafood section of the store. I saw bass fillets are on sale too! 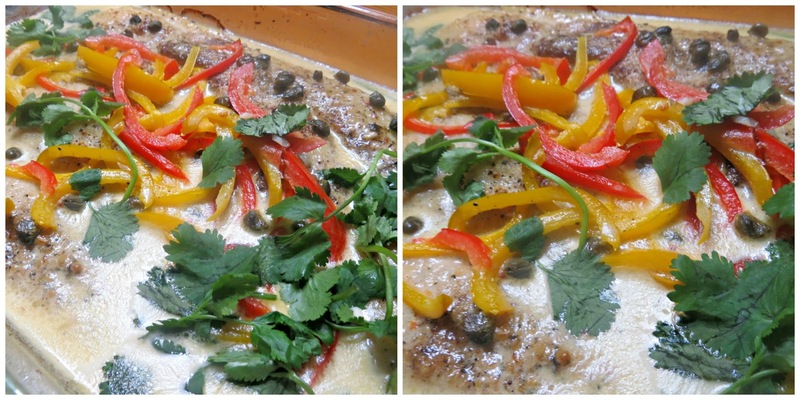 Hmm I imagine creamy sauce with bell peppers and capers with fresh cilantro and that's how I prepared it. Seasoned first with freshly cracked black pepper and kosher salt then oven roasted till light golden. The sauce is half and half, paprika. shallots, dry white wine and a little butter. After preparing these dishes, I feel that a nice dessert is in order. Time to revisit another old favorite- Canonigo. 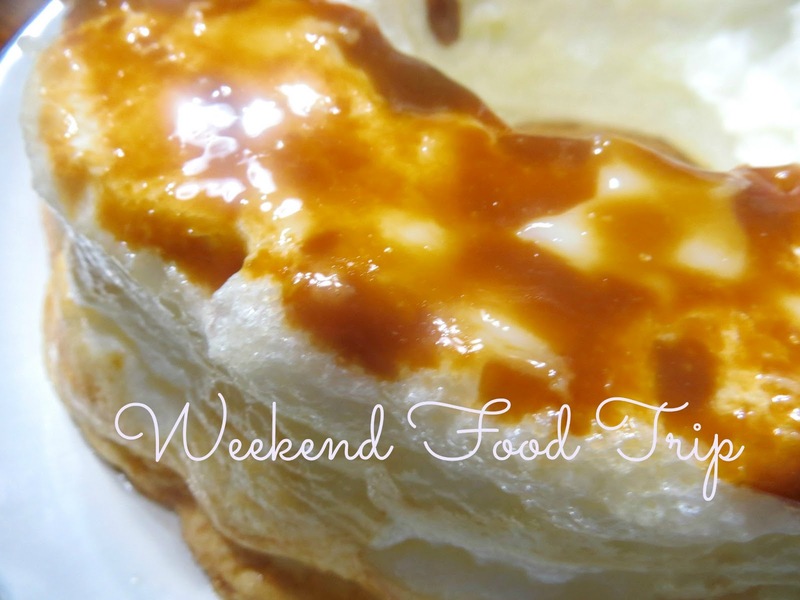 This is a Spanish dessert made from egg whites whipped until stiff with just a little sugar (meringue); baked in a bain marie with caramel topping and served with creme anglaise sauce. This I can say is like soft cloud in my mouth and I really mean it! Ah what a trip! I just love weekends... love cooking and baking ... brings so much joy. Ready for another busy week!